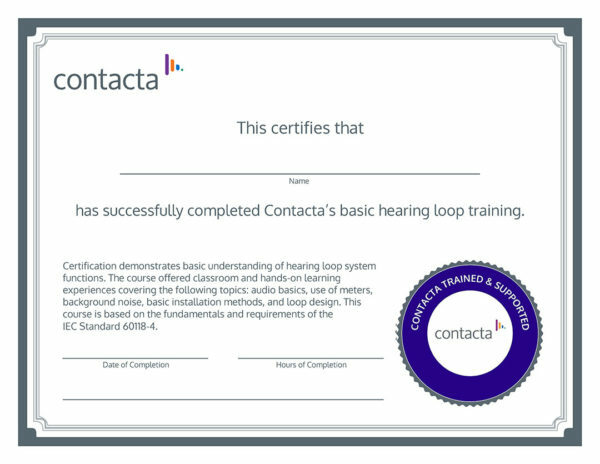 Our comprehensive training is a vital part of ensuring hearing loop systems provide the greatest benefits to your customers. Seminars are available for partners, installers and integrators at a variety of levels, detailing the optimal tools and techniques for hearing loop installations. We always install hearing loops as efficiently as possible without compromising the quality of a hearing loop’s signal, greatly minimising disruption to venues during installation. Seminars are carried out by qualified Contacta trainers who have a wealth of experience and knowledge, providing both theoretical and practical demonstrations. They’re great at working with engineers who are absolute beginners with hearing loops as well as those who have worked with similar systems previously. We want to make training as simple as possible. 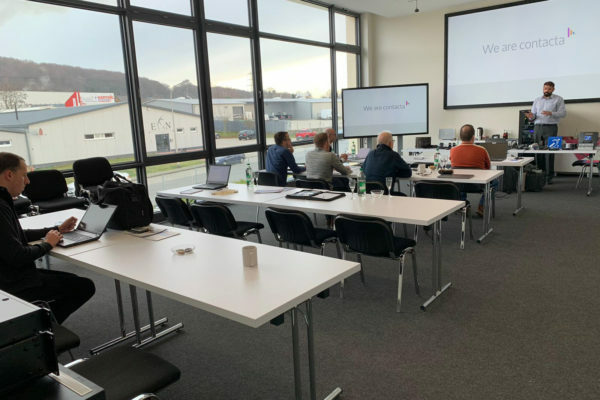 While seminars can take place at Contacta headquarters in Kent, we can also send an engineer to you to ensure your staff are provided with a strong understanding of our systems. What happens once training is complete? Certificates are sent to all attendees upon the completion of a training seminar.